Just across the Mississippi River, a mere 5 minute drive from downtown St. Louis is the small town of Cahokia, Illinois. 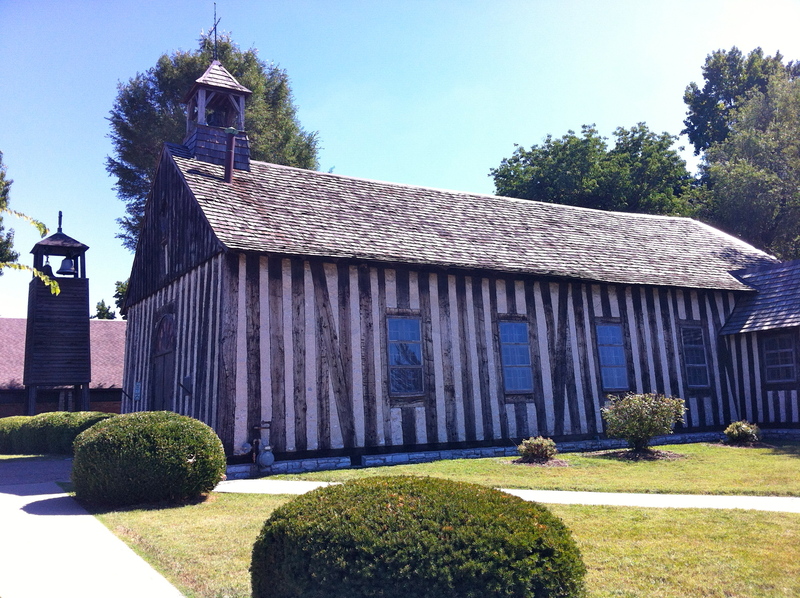 The town is home to the Holy Family Log Church, which is by far the oldest building in the St. Louis area. It was originally built in 1699, although it was rebuilt in the same style in 1799. The church was built in a rare French colonial architectural style called poteaux-sur-sol or pole on sticks. There are only 4 other poteaux-sur-sol building in the United States. The Holy Family is the longest continuously operating parish in the United States and still hosts Catholic mass in the church, although most church happenings occur in the new modern church next door. Unfortunately, tours of the church are only offered between Memorial and Labor Day and I missed the last possible tour date by about 2 weeks. Still, it is very cool to see such an unusual and historic building.